The Italian word for “proverb” is “proverbio“. Really similar to English. We like joking with the words and we want to show you some examples. 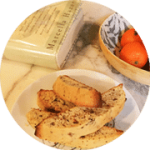 They are couple of Italian words similarly spelt but totally different for the meaning. – SBAGLIARE / SBA(DI)GLIARE: “Sbagliare” means to make a mistake, while “sbadigliare” to yawn. – PRENDERE / PERDERE: they are opposite words. “Prendere” means to take” while “Perdere” means to loose. – LAVARE / LAVORARE: at the beginning a lot of students got confused with them. “Lavare” is to wash, “Lavorare” to work. – VOLERE / VOLARE: one is to want, the other is to fly. – MENTO / MENTA: respectively chin versus mint. – FOGLIO / FOGLIA: respectively sheet versus leaf. – PARTITO / PARTITA: respectively party, faction versus game or match. – PRIMO / PRIMA: respectively first versus before. – PIANTO / PIANTA: respectively crying versus plant. – PORTO / PORTA: respectively port, harbour versus door. 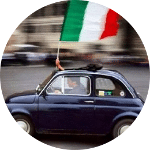 In conclusion we want to let you know that we started on our Facebook Page a new column dedicated to the Italian Words. This is the first: ALFABETO. Follow us! 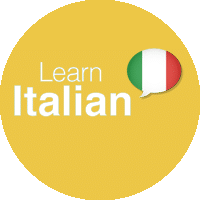 If you like learning new Italian Words, another help is Memrise that offers free Italian courses focused on the Italian Words and their memorisation. Or you can study the language online with us.